very fair-skinned, with long, straight, dark brown hair and chocolate brown eyes. Her face is heart-shaped—a wide forehead with a widow's peak, large, wide-spaced eyes, prominent cheekbones, and then a thin nose and a narrow jaw with a pointed chin. Her lips are a little out of proportion, a bit too full for her jaw line. Her eyebrows are darker than her hair and more straight than they are arched. She's five foot four inches tall, slender but not at all muscular, and weighs about 115 pounds. She has stubby fingernails because she has a nervous habit of biting them. 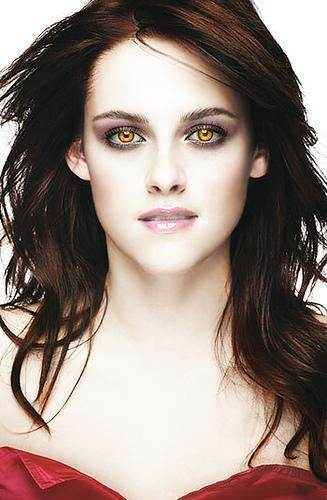 Resistant to vampire powers that deal directly with her mind, such as Edward’s mind-reading and Jane’s pain infliction. A self-described loner, Bella has difficulty relating to other humans and making friends (Twilight, pg. 10). On top of her social awkwardness, Bella also possesses a propensity for danger and clumsiness. Bella grew up with her mother in Phoenix, Arizona until the age of seventeen, when she exiled herself to Forks, Washington. She lived with her father, Charlie Swan. Once enrolled in the local high school, Bella made a wide group of friends and encountered more attention than she ever had before. Once she became introduced to Edward Cullen and his family, she found herself in the midst of a fantastical world. He saved Bella from death by stopping a car with his bare hands, and later from a rowdy group of young men will ill intentions. These events spurred Edward and Bella to begin dating and become an official couple. Their blissful romance took a turn for the worse when a group of nomad vampires came to Forks. The leader of the coven, James, decided to hunt Bella and, ultimately, led her back to her hometown of Phoenix, Arizona to her childhood ballet studio where he intended to kill her. 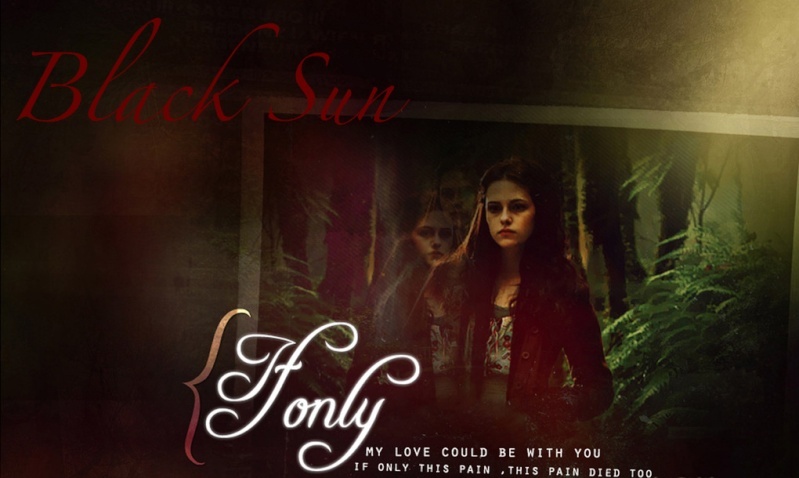 Bella was on the brink of transforming into a vampire when Edward saved her by sucking the venom out of her blood. James survived. At Bella’s 18th birthday party, disaster struck once again. While opening presents, Bella gives herself a paper cut and Jasper, not entirely accustomed to the vegetarian life, attacked her. Jasper left the Cullen clan to go to Alaska and was soon followed by the rest of the family. Edward didn't want to go and leave Bella but he knew it was for the best so he did, never dreaming it would destroy her like it did. Months later, after many tears Bella became friends with Jacob who loved her like a sister. He swore to keep her safe; until the day he became a shape-shifter and had to break his promises. The whole Cullen family returned to Forks to save Bella from another attack by James.. but really it was just Victoria and a few other nomads under James' direction. Sometime during the battle, a nomad cornered Bella and bit her but before getting any further the nomad was attacked by Jacob who took awhile to attack the vampire by himself. which meant that Bella was left unattended for too long. Three days later Bella woke up to new sights, smells, and sounds. She was a vampire, and there was nothing holding back Jasper now, he could go near her without worrying about trying to drink her blood. He was at her side constantly and wouldn't leave it for a moment as she got used to her new senses and cravings. The Cullen's were shocked to see the bond between the two and were ready to comfort Alice but were in for a bigger shock when they were told that Edward and Alice were now 'together'.